Club Carlson has a very simple yet potentially lucrative promotion occurring right now: through Sunday, September 27, 2015, you can earn 2,000 bonus Gold Points per night during eligible stays at any of the greater than 1,000 Carlson Rezidor hotel and resort properties — including the Radisson, Radisson Blu, Country Inn & Suites, Park Inn, Park Plaza and Quorvus Collection brands — worldwide with the Get Online and Get Going Promotion. You can earn 1,000 bonus Best Western Rewards points per qualified stay at any Best Western branded hotel property worldwide through Monday, September 7, 2015 during the Summer 2015 promotion — but you must register for this promotion prior to your first booking in order to participate; and there is no limit to the number of times you can earn the 1,000 bonus points during the promotion period. This Just In: 5,000 Bonus Hilton HHonors Points Per Stay! Act Fast! This was just communicated to me moments ago by a contact of mine with the Hilton HHonors frequent guest loyalty program: earn 5,000 bonus Hilton HHonors points per stay at any hotel and resort property — now through Monday, July 6, 2015! 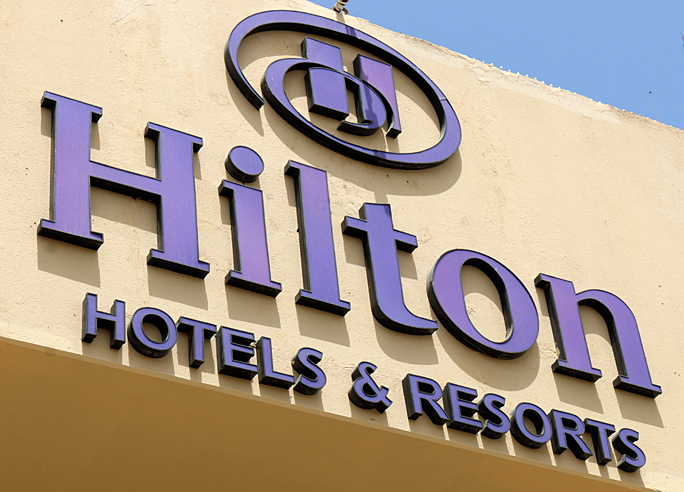 A popular promotion from the Hilton HHonors frequent guest loyalty program has been extended: Double Your HHonors continues where you can choose between either earning double HHonors points or double airline miles for qualified stays completed between Monday, June 1, 2015 and Monday, August 31, 2015 at participating hotel properties in the Hilton Worldwide portfolio. Stay at any of the eleven Curio – A Collection by Hilton hotel or resort properties within the Hilton Worldwide portfolio of hotel and resort properties through Friday, July 31, 2015 and earn 1,500 Hilton HHonors bonus points each night of your eligible stay for up to a maximum of four nights or 6,000 Hilton HHonors bonus points; but you must register for this promotion prior to checking out of your first eligible stay within the promotion period in order to participate. As a member of Avis Preferred, I was glad to receive an e-mail message from the Hyatt Gold Passport frequent guest loyalty program which could not have been more timely: receive 1,000 bonus Hyatt Gold Passport points on vehicle rentals of three days or longer — which must begin by Friday, July 31, 2015 at participating Avis locations in the United States, Canada, Mexico, Latin America and the Caribbean, Australia, New Zealand, Europe, Africa and the Middle East — plus save up to 25 percent on the time and mileage charges of the rental while receiving an upgrade of one class of vehicle. In celebration of the announcement of the new Experience More global partnership between Hilton Worldwide and All Nippon Airways, you can earn up to triple All Nippon Airways Mileage Club frequent flier loyalty program miles at any of 18 participating hotel and resort properties within the Hilton portfolio in Japan or Hawaii through August 31, 2015; or earn double Mileage Club miles when you stay at any participating hotel and resort properties around the world. You can easily earn up to 1,000 free American Airlines AAdvantage frequent flier loyalty program miles in exchange for only a few minutes of your time by simply “matriculating” at AAdvantage University — where all you need to do is enter all six “classrooms”, watch a short video in each “classroom”, and then take your final examination consisting of one multiple choice question.